Our week 5 seminar, back to the normal time, is with Anna Bocking-Welch (Liverpool)—her paper title is ‘Humanitarianism and humdrum internationalism: British society at the end of empire’. Rodney Hilton library, Arts building (3rd floor), Wed 4.15pm. Drinks and probably Tangfastics provided; all staff and students welcome. 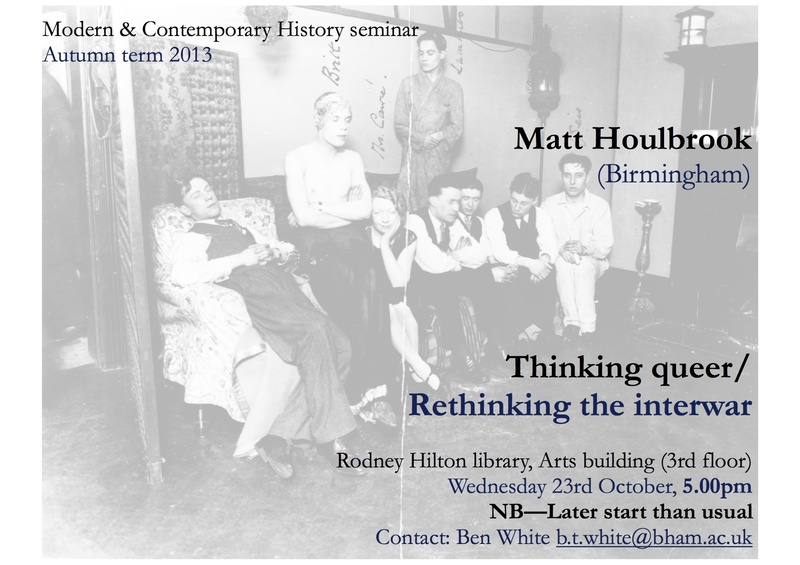 Our seminar speaker this week is Matt Houlbrook, who recently joined us as senior lecturer in modern British history. 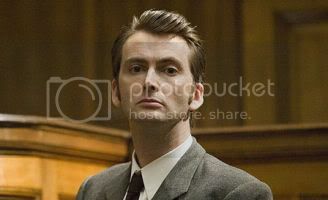 His paper title is ‘Thinking queer/Rethinking the interwar’, and details are below. Please note that this week’s seminar begins at 5pm, slightly later than usual. Everything else is as normal: location, drinks, Tangfastics, etc. From a post on the New York Review of Books blog by Seth Colter Walls, on a recent performance by the Sun Ra Arkestra at Lincoln Center in New York. If you want to decide for yourself if it’s music, there are several pieces embedded there for you to listen to. 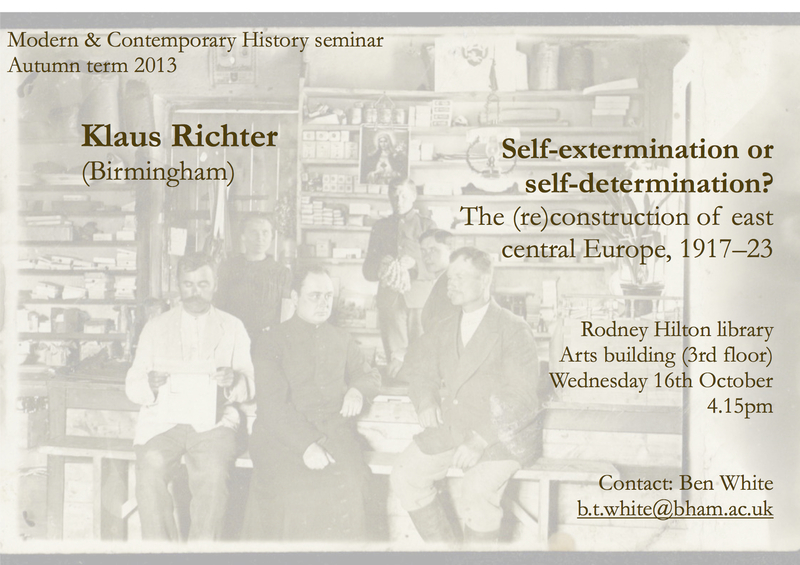 Our seminar speaker this week is our own Klaus Richter, who will be talking about the aftermath of the first world war in east central Europe. Place and time as usual—details below. Please do join us. 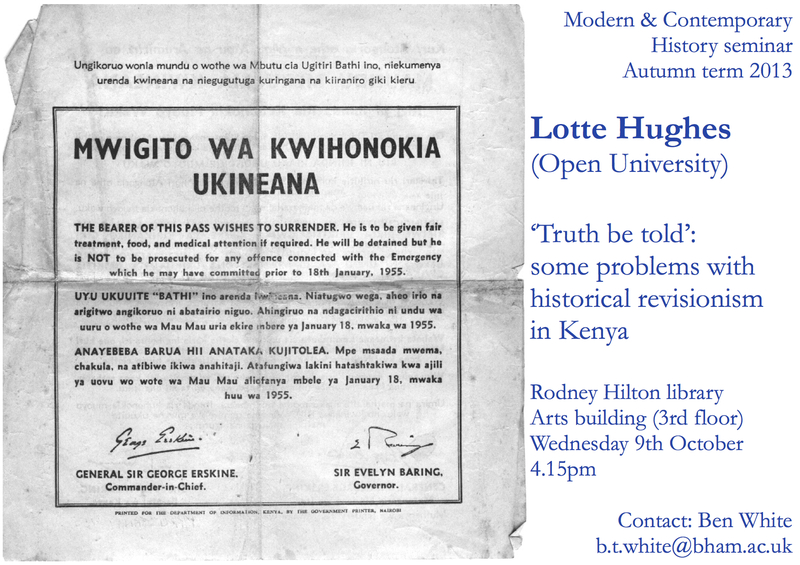 For our seminar this week we’re pleased to welcome back Lotte Hughes (Open University), returning to Birmingham to give us the paper that was cancelled at the last minute during the Great Edgbaston Power Outage of November 2012. Details below.